Dubai: The UAE remains an attractive destination for GCC nationals to invest in real estate because of its developed regulatory systems and value for money properties, industry analysts said yesterday. New figures released by the UAE Ministry of Finance show an increase in the number of registered real estate contracts held by Gulf nationals in the UAE. The statistical report on the Gulf Common Market, which was released on Saturday, revealed the number of contracts had increased to 4,604 in 2010 from 4,024 the previous year. "These figures suggest there are properties available that have reached a good price at which people can afford to buy," said Elaine Jones, CEO of Asteco Property Management. "Property purchases [that people] committed to previously are now being realised and registered as the projects are completed, and secondly there continues to be an interest in buying property in the UAE despite the economic downturn," she added. According to Jones, there may be a number of distressed sellers in the market place as many people waited to see if conditions improved but were then forced to sell at discounted rates, creating a host of attractive investment opportunities. She says, however, that the number of Gulf nationals buying property in the UAE shows the country's property market is an attractive long-term investment and that the UAE continues to be a preferred location for either primary or secondary homes. "Investment in completed property that meets the rental market's checklist of requirements has historically been a safe method to protect and generate wealth." Jones said. "The cross border living of GCC nationals, who have grown their business throughout the region or see value in spreading their operations and diversifying their risk by exposure to a larger market place, also see value in participating in the real estate sector," she added. The UAE's real estate market crashed at the height of the global financial crisis in 2008 with thousands of ambitious developments either cancelled or put on hold indefinitely. However, the UAE has achieved a reputation as a safe haven in recent months amid geopolitical turmoil across much of the Middle East especially in Egypt, Libya and Bahrain, which has enticed many property investors and funds back to the country's real estate sector. "The best that could be argued from these figures is the market in the UAE is still attracting interest from GCC nationals, which can only be a positive considering they are historically some of the biggest investors," said Michael Michael, director of Landmark Properties. "It also needs to be remembered, however, that 2009 saw an abnormally low level of transactions, and so it should be expected that 2010 would see an upturn, albeit a slight one," he said. Michael says the UAE is popular among Gulf nationals because it is the most advanced property market in the region and offers attractive returns compared to more mature markets. "There is also the fact that many Gulf nationals like the concept of owning a second home in Dubai and so there is that interest to be accounted for. As these figures show, while Gulf nationals are increasingly looking further afield for investment opportunities, the UAE and Dubai in particular still appeals to a certain segment," he added. Blue-chip companies were among the worst to suffer during the global financial crisis although there is a growing sense of confidence that the UAE's real estate market is showing signs of recovery. Rents in Dubai and Abu Dhabi are still falling as supply continues to exceed demand with thousands of new properties slated to come online in both cities over the next 12 months. Furthermore, The Dubai Land Department revealed in May that the overall number of transactions had grown exponentially over the previous 16 months as more users entered the market. "Real estate is a popular asset class for investors, especially in this region. Some research suggests that appetite as a portion of the total portfolio is increasing," said Jesse Downs, head of management consulting at Jones Lang LaSalle Middle East and North Africa. Dubai: The number of GCC nationals investing in the UAE's stock markets fell between 2009 and 2010, the Ministry of Finance said in its latest statistical report. The new figures show the number of GCC nationals investing in public shareholding companies registered by the Emirates Securities and Commodities Authority dropped to 208,316 investors in 2010 from 276,805 the previous year — a decrease of 68,489 investors. Mohammad Ali Yasin, Chief Investment Officer at CAPM Investment, said a lack of IPO (initial public offering) activity and a drop in liquidity were the main reasons behind the lack of interest among GCC investors. "These correspond directly to the fact that there has been less and less activity in our markets over the last few years. It is not surprising that there has been a decrease in the number of GCC investors trading in the UAE marketplace," Ali Yasin said. 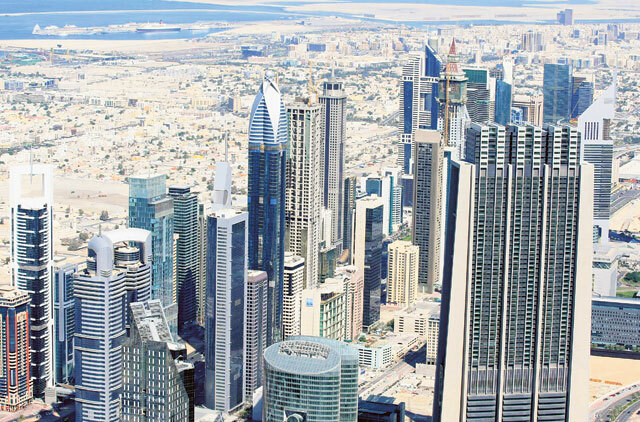 Regional capital markets raised $21.7 million (Dh79.63 million) in the first quarter of 2011, down a massive 94.8 per cent on the year-before period, according to a report from Ernst & Young earlier this year.